The Tampa Bay Rays had a busy month in January, completing two trades that infused new prospects into their Top 50. SP Jose DeLeon comes over from the Los Angeles Dodgers for 2B Logan Forsythe. DeLeon, one of the consensus top right-handed pitching prospects in the game, would likely slot as the Rays’ third best prospect in our Top 50 rankings. He has a major-league-ready fastball, slider and changeup, and should enter the rotation sometime this season. The Rays also picked up prospects SP Ryan Yarbrough and SS Carlos Vargas in a trade with the Seattle Mariners. The Rays gave up SP Drew Smyly and also picked up OF Mallex Smith in the deal. Yarbrough, Southern League Pitcher of the Year in 2016, would probably merit a top 20 spot on our Top 50. He might get to the big leagues faster as a left-handed reliever, but he profiles as a back of the rotation starter. Vargas, just 17, has a lot of upside but a long way to go. As he fills out, he may have the power to be a third baseman. 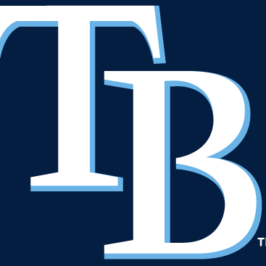 Top Rays prospects SS Willy Adames (#1 in my rankings) , SP Brent Honeywell (#2) and SP Jose DeLeon (would be #3) will get a chance to show off their talent at spring training in Port Charlotte, FL this month. None is likely to break camp with the team but they’ll get a good look. Others with a better opportunity to make the club in the bullpen are SP Jaime Schultz (#8) and RP Ryne Stanek (#9). The Rays are looking for power pitchers in the pen, and these two qualify. IF Daniel Robertson (#14) probably has the best chance to make the club of any prospect hitter, though competition is stiff for utility infielders. But he’s ready, at least for a reserve role. The Rays also have invited 18 non-roster players to spring training, including a few of their Top 50 prospects not yet on the 40-man roster. Among them are 1B Casey Gillaspie (#4), 1B/RF Jake Bauers (#3), C Nick Ciuffo (#19), 2B/CF Ryan Brett (#36), IF Jake Hager (#39), OF Johnny Field (#33), IF/OF Patrick Leonard (#41) and OF Dayron Varona (#35). But all of these players are likely to begin their season at AAA Durham. Gillaspie has the best chance to join the Rays sometime this summer. Each month we’ll look at a prospect not on our Top 50 who might well belong there now or in the future. This month: catcher David Rodriguez. He showed good defensive ability behind the plate at Class A Bowling Green last summer, throwing out more than half of all baserunners who tried to steal on him. But his bat has really come alive in the Australian Baseball League this winter. He’s leading his Brisbane Bandits into the ABL championship series this coming weekend having clubbed six homers with 25 RBI, a .442 batting average and a 1.247 OPS in 77 at-bats. The 20-year-old Venezuelan is certainly worth keeping an eye on as he moves up the ranks. Matt Manning: The Tigers Ace of the Future?